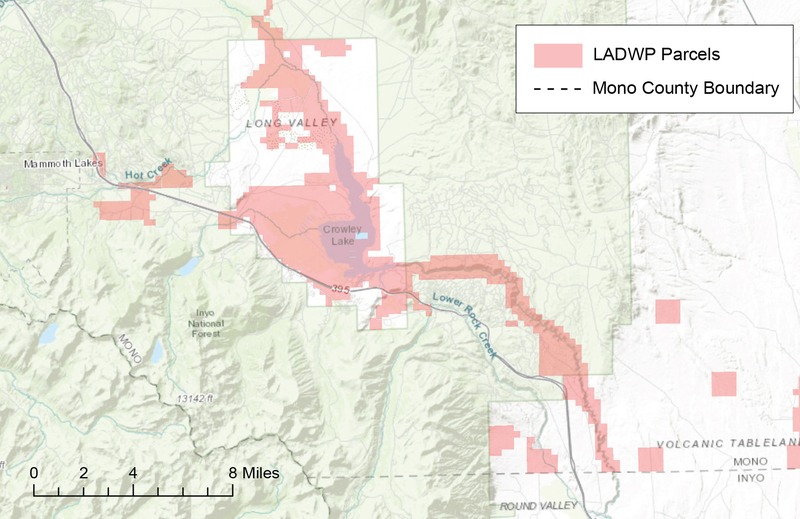 The fight continues between the Long Valley community, with help from Mammoth Lakes Recreation, against the Los Angeles Department of Water and Power. This on-going siege is gaining massive support from the Mammoth Mountain community—also known as the voice of wetland conservation, land management, water management, as well as other local wildlife and fauna. The Los Angeles Department of Water and Power notified leaseholders in Long and Little Round Valleys that it would be eliminating their irrigation allotments. Historically speaking, lessees have been allotted up to 5-acre-feet per acre annually for irrigation. This water not only helps support pastures but it also plays a critical role in maintaining wetland conservation and wetland habitats – habitats that were lost when LADWP built the Long Valley Dam and created Crowley Lake. The rich meadows in Long and Little Round Valley are interspersed with lush riparian corridors, access to the Mammoth lakes hot springs, fed by Mammoth Creek, Convict Creek, McGee Creek, and numerous other tributaries. The biodiversity in these wetlands includes a wide variety of invertebrate, amphibian and avian life. One species native to the area is the bi-state sage grouse; a California species of special concern. These birds utilize the lands in and around Long Valley as lekking (or mating) grounds. Biologists assert that the grouse may be directly threatened by LADWP’s plans to dewater the area which is why environmental protection is so important. In addition to the numerous environmental impacts on the area, Mammoth Lakes Recreation is concerned about what impacts LADWP’s plan will have upon sustainable recreation in the area. Long Valley supports a variety of outdoor and recreation, which includes camping, hunting, and most notably, fishing. The area supports several fisheries, including two world-class fishing resources: Hot Creek and the Upper Owens River. Local fishing guides and tackle shop owners have expressed concern over how the loss of wetland habitats will affect the fishing resources in the area. Virtually no study has been done to review the potential impact dewatering will have on Long Valley and the biodiversity in the area. Mammoth Lakes Recreation and others are asking LADWP to reinstate the irrigation allotments at their previous levels until a full Environmental Impact Review can be completed. In addition to the direct impact on recreation, LADWP’s actions will have indirect impacts on winter recreation. Wetlands are also one of the most efficient mechanisms for CO2 exchange. In destroying these wetlands LADWP is lessening our planet’s ability to fight climate change—changes that are already impacting glacial fields in the Sierras. If we don’t act now, we will never again see a green Long Valley. We will face the loss of critical wetland habitats, witness likely increases in invasive plant species, and will be forced to manage heightened risks of wildfire. We need your support! Your tax-deductible donation will support the outreach, environmental studies, and litigation needed to win this fight. Please help us protect Long Velly and Little Round Valley. Together we can keep them green!